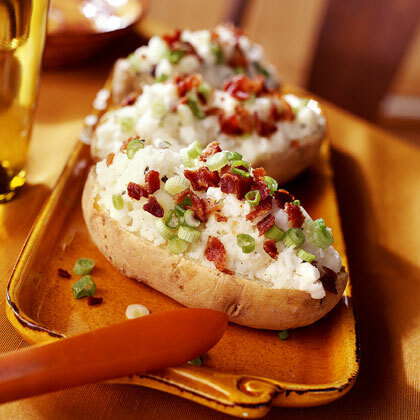 With cream cheese and feta, then topped with bacon - these are the best. They freeze well for a quick add on to any meal. To reheat, put frozen potato on baking sheet and put in oven. Then turn on oven to 350°. Bake for 20-30 minutes until hot.